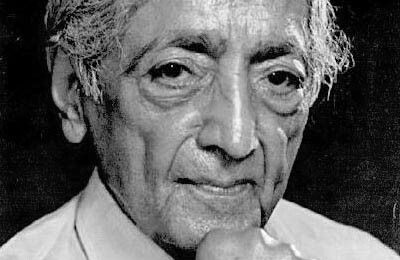 Krishnamurti died last Monday, in Ojai, California. In the past you have spoken of him as another enlightened being. Would you please comment on his death? Why are only you enlightened and for example not me, or the Pope, or the whole world? Why are only you the journalist? Why not me? Why not the pope? Why not Ronald Reagan? Do you think these are questions worth answering? That’s why I have to see them. Idiots are all around. One thing I must say: there was another man who was enlightened who died just a few days ago, J. Krishnamurti. Without him I am feeling alone. The question of “Why?” you should ask yourself. Why are you miserable? Why are you sleeping when you have the capacity to be awake? Perhaps you are having a beautiful dream: perhaps you are making love to your neighbor’s wife, and you don’t want to be awakened. I simply decided that if sleep is going to be my existence, it is not for me, because it is almost close to death. Either I have to be awakened or dead, but I will not be in the limbo of a sleepy existence. When you move like a robot, work like a robot, live like a robot and one day die like a robot, you have not decided it. The burden is on you to prove why you have not decided to be enlightened. And you have some guts. You are asking me… It is only a question of decision, decision to be free, decision to be awake, decision to be blissful whatever the cost. You are not ready to pay the cost; that’s why you are not enlightened. The cost means I had to lose my family, I had to lose my nation, I had to lose my religion, I had to lose everything. But I was ready: whatever the cost I am going to be enlightened. It happens only in your absolute aloneness, and for that aloneness you have to drop many things which you think are very valuable. You have to drop respectability, you have to drop ambition, you have to drop false knowledge, you have to drop your ego. If you are ready to do it, you can become enlightened this very moment. Not even a single moment does it have to be postponed. You already have it; you are just not aware of it. Who, according to your opinion is the most important contemporary? I have just said, J.Krishnamurti. It is a real mystery. I have loved him since I have known him, and he has been very loving towards me. But we have never met; hence the relationship, the connection is something beyond words. We have not seen each other ever, but yet… perhaps we have been the two persons closest to each other in the whole world. We had a tremendous communion that needs no language, which need not be of physical presence. The man who said this was a much respected revolutionary of India, Ajit Patvardhan. 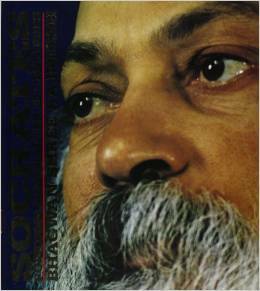 He was one of the closest colleagues of J. Krishnamurti. I simply told Ajit Patvardhan an old story of two great mystics, Kabir and Farid. Kabir had his commune near Varanasi, on the opposite side of the Ganges. Farid was traveling with his disciples; he was a Mohammedan, a Sufi mystic, and he was going to pass the village where Kabir was living. Farid and Kabir both agreed. But the real thing amongst the disciples of both was that they wanted to see what happened when they met, what they would talk about, what would be the things that were important between these two persons. But they never uttered a word. The disciples were very much disappointed; this was not what they were waiting for. The moment both the mystics had departed they had to face their disciples, and the disciples were really angry. And the same was the situation with Farid. The disciples were raising the same problem, and the answer that was given was also the same. Farid and Kabir virtually said the same thing to their disciples: “We both know there is nothing to say. He has eyes, I have eyes. We have both experienced, we have both tasted the truth. What is there to say? Whoever would have uttered a single word would have been proved ignorant, that he does not know. We recognized each other; it is impossible not to recognize. Even two blind people recognize each other; do you think two people with eyes will not recognize each other? “Of course we enjoyed each other. That’s why joy, smiles, tears were the only possible language; when it was too much, we hugged each other. We were sitting holding each other’s hands for hours and our love was flowing, and there was a communion – two bodies and one soul. He has died, and it seems the world goes on its way without even looking back for a single moment that the most intelligent man is no longer there. It will be difficult to find that sharpness and that intelligence again in centuries. But people are such sleep walkers, they have not taken much note. In newspapers, just in small corners where nobody reads, his death is declared. And it seems that a ninety-year-old man who has been continuously speaking for almost seventy years, moving around the world, trying to help people to get unconditioned, trying to help people to become free – nobody seems even to pay a tribute to the man who has worked the hardest in the whole of history for man’s freedom, for man’s dignity. But you will be surprised to know – whatever he was saying was against religions, was against politics, was against the status quo, was against the whole past, yet nobody was condemning him for the simple reason that he was ineffective. There was no reason to take note of him. In India he used to visit only three places – Delhi, Bombay, Madras. And it was the same way around the world… some big cities, and the same people year after year listening to him saying the same things, and nothing has changed in those people because nothing reached to their hearts. It remained only intellectual. They can argue, they can argue very well. One man I know, Dada Dharmadhikari – he is a very famous follower of Gandhi, a colleague of Gandhi, and a colleague of J. Krishnamurti. He does not believe in God, he does not believe in any traditions. He used to come to see me, and I told him, “Not believing in God is not enough; believing in God, or not believing in God, both are God-centered. I cannot say that I do not believe in God – how can I not believe in something which does not exist? Believing or not believing are both irrelevant when something is existential.” But he was too full of Krishnamurti. I said, “That’s what makes it very urgent to prevent you doing any stupid thing! This is against your whole life.” Now he is eighty years old; he followed Krishnamurti for almost fifty years, has been in contact for twenty years with me, and at the last moment all intellectual garbage disappears and the old conditionings appear again. This was what his parents had taught him in his childhood, “Hare Krishna, Hare Rama,” because Hindus believe that in this dark age of humanity only the name of God can save you. The name of God is like a boat; you simply ride on the boat and it will take you to the other side of existence, the spiritual world. 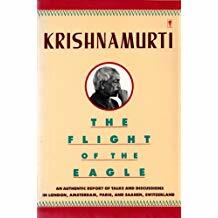 Krishnamurti failed because he could not touch the human heart; he could only reach the human head. The heart needs some different approaches. This is where I have differed with him all my life: unless the human heart is reached, you can go on repeating parrot-like, beautiful words – they don’t mean anything. Whatever Krishnamurti was saying is true, but he could not manage to relate it to your heart. In other words, what I am saying is that J. Krishnamurti was a great philosopher but he could not become a master. He could not help people, prepare people for a new life, a new orientation. I have met thousands of Krishnamurti people – because anybody who has been interested in Krishnamurti sooner or later is bound to find his way towards me, because where Krishnamurti leaves them, I can take their hand and lead them into the innermost shrine of truth. 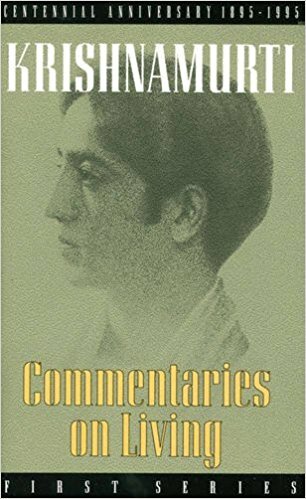 You can say my connection with Krishnamurti is that Krishnamurti has prepared the ground for me. He has prepared people intellectually for me; now it is my work to take those people deeper than intellect, to the heart; and deeper than the heart, to the being. Meditation is state of mind which looks at everything with complete attention—totally, not just parts of it. And no one can teach you how to be attentive. If any system teaches you how to be attentive, then you are attentive to the system, and that is not attention. We are going to discuss the question of meditation; it is a rather complex question and before we go into it, we have to be very clear about this searching, this seeking for experience, trying to find out a reality. We have to understand the meaning of seeking and the searching out of truth, the intellectual groping after something new, which is not of time, which is not brought about by one’s demands, compulsions and despair. Is truth ever to be found by seeking? Is it recognizable when one has found it? If one has, can one say, ‘this is the truth’ – ‘This is the real’? Has search any meaning at all? Most religious people are always talking about seeking truth; and we are asking if truth can ever be sought after. In the idea of seeking, of finding, is there not also the idea of recognition – the idea that if I find something I must be able to recognize it? Does not recognition imply that I have already known it? Is truth ‘recognizable’ – in the sense of its having already been experienced, so that one is able to say, ‘This is it’? So what is the value of seeking at all? Or, if there is no value in it, then is there value only in constant observation, constant listening? – Which is not the same as seeking. When there is constant observation there is no movement of the past. ‘To observe’ implies seeing very clearly; to see very clearly there must be freedom, freedom from resentment, freedom from enmity, from any prejudice or grudge, freedom from all those memories that one has stored up as knowledge, which interfere with seeing. When there is that quality, that kind of freedom with constant observation – not only of the things outside but also inwardly – of what is actually going on, what then is the need of seeking at all? – For it is all there, the fact, the ‘what is’, it is observed. But the moment we want to change ‘what is’ into something else, the process of distortion takes place. Observing freely, without any distortion, without any evaluation, without any desire for pleasure, in just observing, we see that ‘what is’ undergoes an extraordinary change. Most of us try to fill our life with knowledge, with entertainment, with spiritual aspirations and beliefs, which, as we observe, have very little value; we want to experience something transcendental, something beyond all worldly things, we want to experience something immense, that has no borders, that has no time. To ‘experience’ something immeasurable one must understand the implications of ‘experience.’ Why do we want ‘experience’ at all? Please do not accept or deny what the speaker is saying, just examine it. The speaker – let us again be definite about that matter – has no value whatsoever. (It’s like the telephone, you do not obey what the telephone says. The telephone has no authority, but you listen to it.) If you listen with care there is in that, affection, not agreement or disagreement, but a quality of mind that says, “Let’s see what you’re talking about, let us see if it has any value at all, let us see what is true and what is false.” Do not accept or deny, but observe and listen, not only to what is being said, but also to your reactions, to your distortions, as you are listening; see your prejudices, your opinions, your images, your experiences, see how they are going to prevent you from listening. We are asking: what is the significance of experience? Has it any significance? Can experience wake up a mind that is asleep, that has come to certain conclusions and is held and conditioned by beliefs? Can experience wake it up, shatter all that structure? Can such a mind – so conditioned, so burdened by its own innumerable problems and despairs and sorrows – respond to any challenge? – can it? And if it does respond, must not the response be inadequate and therefore lead to more conflict? Always to seek for wider, deeper, transcendental experience, is a form of escape from the actual reality of ‘what is’, which is ourselves, our own conditioned mind. A mind that is extraordinarily awake, intelligent, free, why should it need, why should it have, any ‘experience’ at all? Light is light, it does not ask for more light. The desire for more ‘experience’ is escape from the actual, the ‘what is’. If one is free from this everlasting search, free from the demand and the desire to experience something extraordinary, then we can proceed to find out what meditation is. That word – like the words ‘love’, ‘death,’ ‘beauty,’ ‘happiness’ – is so loaded. There are so many schools which teach you how to meditate. But to understand what meditation is, one must lay the foundation of righteous behavior. Without that foundation, meditation is really a form of self-hypnosis; without being free from anger, jealousy, envy, greed, acquisitiveness, hate, competition, the desire for success – all the moral, respectable forms of what is considered righteous – without laying the right foundation, without actually living a daily life free of the distortion of personal fear, anxiety, greed and so on meditation has very little meaning. The laying of that foundation is all-important. So one asks: what is virtue? What is morality? Please do not say that this question is bourgeois, that is has no meaning in a society which is permissive, which allows anything. We are not concerned with that kind of society; we are concerned with a life completely free from fear, a life which is capable of deep, abiding love. Without that, meditation becomes a deviation; it is like taking a drug – as so many have done – to have an extraordinary experience and yet leading a shoddy little life. Those who take drugs do have some strange experiences, they see perhaps a little more colour, they become perhaps a little more sensitive, and being sensitive, in that chemical state, they do perhaps see things without space between the ‘observer’ and the thing observed; but when the chemical effect is over, they are back to where they were with fear, with boredom, back again in the old routine – so they have to take the drug again. Unless one lays the foundation of virtue, meditation becomes a trick to control the mind, to make the mind quiet, to force the mind to conform to the pattern of a system that says, “Do these things and you will have great reward.” But such a mind – do what you will with all the methods and the systems that are offered – will remain small, petty, conditioned, and therefore worthless. One has to inquire into what virtue is, what behavior is. Is behavior the result of environ- mental conditioning, of a society, of a culture, in which one has been brought up? – You behave according to that. Is that virtue? Or does virtue lie in freedom from the social morality of greed, envy and all the rest of it? – Which is considered highly respectable. Can virtue be cultivated? – And if it can be cultivated then does it not become a mechanical thing and therefore have no virtue at all? Virtue is something that is living, flowing, that is constantly renewing itself; it cannot possibly be put together in time; it is like suggesting that you can cultivate humility. Can you cultivate humility? It is only the vain man that ‘cultivates’ humility; whatever he may cultivate he will still remain vain. But in seeing very clearly the nature of vanity and pride, in that very seeing there is freedom from that vanity and pride – and in that there is humility. When this is very clear then we can proceed to find out what meditation is. If one cannot do this very deeply, in a most real and serious way – not just for one or two days then drop it – please do not talk about meditation. Meditation, if you understand what it is, is one of the most extraordinary things; but you cannot possibly understand it unless you have come to the end of seeking, groping, wanting, greedily clutching at something which you consider truth – which is your own projection. You cannot come to it unless you are no longer demanding ‘experience’ at all, but are understanding the confusion in which one lives, the disorder of one’s own life. In the observation of that disorder, order comes – which is not a blueprint. When you have done this – which in itself is meditation – then we can ask, not only what meditation is, but also what meditation is not, because in the denial of that which is false, the truth is. Any system, any method that teaches you how to meditate is obviously false. One can see why, intellectually, logically, for if you practice something according to a method – however noble, however ancient, however modern, however popular – you are making yourself mechanical, you are doing something over and over again in order to achieve something. In meditation the end is not different from the means. But the method promises you something; it is a means to an end. If the means is mechanical, then the end is also something brought about by the machine; the mechanical minds says, “I’ll get something.” One has to be completely free from all methods, all systems; that is already the beginning of meditation; you are already denying something which is utterly false and meaningless. And again, there are those who practice ‘awareness.’ Can you practice awareness? 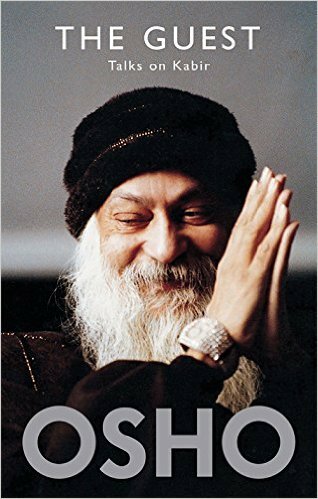 – If you are ‘practicing’ awareness, then you are all the time being inattentive. So, be aware of inattention, not practice how to be attentive; if you are aware of your inattention, out of that awareness there is attention, you do not have to practice it. Do please understand this; it is so clear and so simple. You do not have to go to Burma, China, India, places which are romantic but not factual. I remember once travelling in a car, in India, with a group of people. I was sitting in front with the driver, there were three behind who were talking about awareness, wanting to discuss with me what awareness is. The car was going very fast. A goat was in the road and the driver did not pay much attention and ran over the poor animal. The gentlemen behind were discussing what is awareness; they never knew what had happened! You laugh; but that is what we are all doing, we are intellectually concerned with the idea of awareness, the verbal, dialectical investigation of opinion, yet not actually aware of what is taking place. There is no practice, only the living thing. And there comes the question: how is thought to be controlled? Thought wanders all over the place; you want to think about something, it is off on something else. They say practice, control; think about a picture, a sentence, or whatever it is, concentrate; thought buzzes off in another direction, so you pull it back and this battle goes on, backward and forward. So one asks: what is the need for control of thought at all and who is the entity that is going to control thought? Please follow this closely. Unless one understands this real question, one will not be able to see what meditation means. When one says, “I must control thought,” who is the controller, the censor? Is the censor different from the thing he wants to control, shape or change into a different quality? – are they not both the same? What happens when the ‘thinker’ sees that he is the thought – which he is – that the ‘experiencer’ is the experience? Then what is one to do? Are you following the question? The thinker is the thought and thought wanders off; then the thinker, thinking he is separate, says, ‘I must control it.’ Is the thinker different from the thing called thought? If there is no thought, is there a thinker? What takes place when the thinker sees he is the thought? What actually takes place when the ‘thinker’ is the thought as the ‘observer’ is the observed? What takes place? In that there is no separation, no division and therefore no conflict therefore thought is no longer to be controlled, shaped; then what takes place? Is there then any wandering of thought at all? Before, there was control of thought, there was concentration of thought, there was the conflict between the ‘thinker’ who wanted to control thought, and thought wandering off. That goes on all the time with all of us. Then there is the sudden realization that the ‘thinker’ is the thought – a realization, not a verbal statement, but an actuality. Then what takes place? Is there such a thing as thought wandering? It is only when the ‘observer’ is different from thought that he censors it; then he can say, ‘This is right or this is wrong thought,” or “Thought is wandering away I must control it.” But when the thinker realizes that he is the thought, is there a wandering at all? Go into it, sirs, don’t accept it, you will see it for yourself. It is only when there is a resistance that there is conflict; the resistance is created by the thinker who thinks he is separate from the thought; but when the thinker realizes that he is the thought, there is no resistance – which does not mean that thought goes all over the place and does what it likes, on the contrary. The whole concept of control and concentration undergoes a tremendous change; it becomes attention, something entirely different. If one understands the nature of attention, that attention can be focused, one understands that it is quite different from concentration, which is exclusion. Then you will ask, “Can I do anything without concentration?” “Do I not need concentration in order to do anything?” But can you not do something with attention? – Which is not concentration. ‘Attention’ implies to attend, that is to listen, hear, see, with all the totality of your being, with your body, with your nerves, with your eyes, with your ears, with your mind, with your heart, completely. In that total attention – in which there is no division – you can do anything; and in such attention is no resistance. So then, the next thing is, can the mind in which is included the brain – the brain being conditioned, the brain being the result of thousands of thousands of years of evolution, the brain which is the storehouse of memory – can that become quiet? Because it is only when the total mind is silent, quiet, that there is perception, seeing clearly, with a mind that is not confused. How can the mind be quiet, be still? I do not know if you have seen for yourself that to look at a beautiful tree, or a cloud full of light and glory, you must look completely, silently, otherwise you are not looking directly at it, you are looking at it with some image of pleasure, or the memory of yesterday, you are not actually looking at it, you are looking at the image rather than at the fact. So, one asks, can the totality of the mind, the brain included, be completely still? People have asked this question – really very serious people – they have not been able to solve it, they have tried tricks, they have said that the mind can be made still through the repetition of words. Have you ever tried it – repeating “Ave Maria,” or those Sanskrit words that some people bring over from India, mantras – repeating certain- words to make the mind still? It does not matter what word it is, make it rhythmic-Coca Cola, any word – repeat it often and you will see that your mind becomes quiet; but it is a dull mind, it is not a sensitive mind, alert, active, vital, passionate, intense. A dull mind though it may say, “I have had tremendous transcendental experience,” is deceiving itself. So it is not in the repetition of words, nor in trying to force it; too many tricks have been played upon the mind for it to be quiet; yet one knows deeply within oneself that when the mind is quiet then the whole thing is over, that then there is true perception. How is the mind, the brain included, to be completely quiet? Some say breathe properly, take deep breaths, that is, get more oxygen into your blood; a shoddy little mind breathing very deeply, day after day, can be fairly quiet; but it is still what it is, a shoddy little mind. Or practice yoga? – Again, so many things are involved in this. Yoga means skill in action, not merely the practice of certain exercises which are necessary to keep the body healthy, strong, sensitive – which includes eating the right food, not stuffing it with a lot of meat and so on (we won’t go into all that, you are all probably meat eaters). Skill in action demands great sensitivity of the body, a lightness of the body, eating the right food, not what your tongue dictates, or what you are used to. Then what is one to do? Who puts this question? One sees very clearly that our lives are in disorder, inwardly and outwardly; and yet order is necessary, as orderly as mathematical order and that can come about only by observing the disorder, not by trying to conform to the blueprint of what others may consider, or you yourself may consider, order. By seeing, by being aware of the disorder, out of that comes order. One also sees that the mind must be extraordinarily quiet, sensitive, alert, not caught in any habit, physical or psychological; how is that to come about? Who puts this question? Is the question put by the mind that chatters, the mind that has so much knowledge? Has it learned a new thing? – which is, “I can see very clearly only when I am quiet, therefore, I must be quiet.” Then it says, “How am I to be quiet?” Surely such a question is wrong in itself; the moment it asks ‘how’ it is looking for a system, therefore destroying the very thing that is being inquired into, which is: how can the mind be completely still? – Not mechanically, not forced, not compelled to be still. A mind that is not compelled to be still is extraordinarily active, sensitive, alert. But when you ask ‘how’ then there is the division between the observer and the thing observed. Now the quality of silence matters. A very small mind can be very quiet, it has its little space in which to be quiet; that little space, with its little quietness, is the deadest thing – you know what it is. But a mind that has limitless space and that quietness, that stillness, has no center as the ‘me’, the ‘observer,’ is quite different. In that silence there is no ‘observer’ at all; that quality of silence has vast space, it is without border and intensely active; the activity of that silence is entirely different from the activity which is self-centered. If the mind has gone that far (and really it is not that far, it is always there if you know how to look), then perhaps that which man has sought throughout the centuries, God, truth, the immeasurable, the nameless, the timeless, is there – without your invitation, it is there. Such a man is blessed, there is truth for him and ecstasy. Shall we talk this over, ask questions? You might say to me, “What value has all this in daily life? I’ve got to live, go to the office; there is the family, there is the boss, competition – what has all this got to do with it?” Do you not ask that question? If you ask it, then you have not followed all that has been said this morning. Meditation is not something different from daily life; do not go off into the corner of a room and meditate for ten minutes, then come out of it and be a butcher – both metaphorically and actually. Meditation is one of the most serious things; you do it all day, in the office, with the family, when you say to somebody, “I love you” when you are considering your children, when you educate them to become soldiers, to kill, to be nationalized, worshipping the flag, educating them to enter into this trap of the modern world; watching all that, realizing your part in it, all that is part of meditation. And when you so meditate you will find in it an extraordinary beauty; you will act rightly at every moment; and if you do not act rightly at a given moment it does not matter, you will pick it up again – you will not waste time in regret. Meditation is part of life, not something different from life.